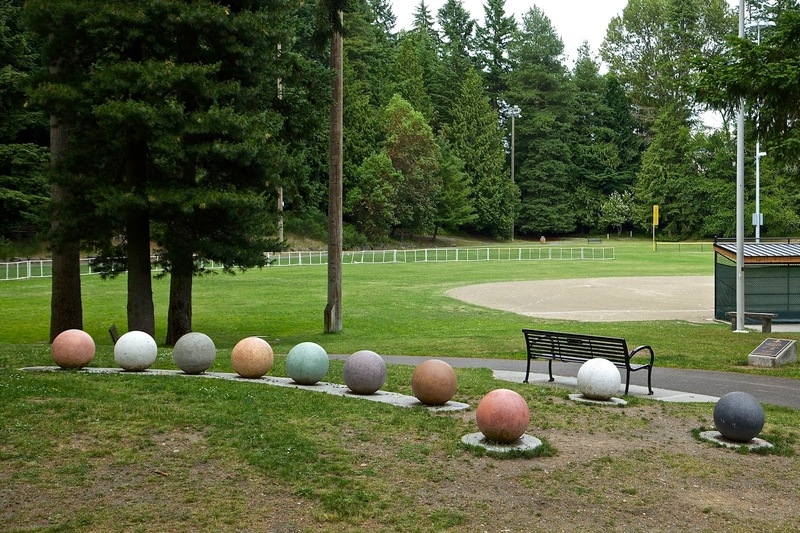 Artist's Statement: The spheres in Hamlin Park are inspired by the park's natural features: the trees that ring the open space, the undulating terrain. The necklace of cascading concrete and glass beads appears to roll downhill, joining the wooded picnic area with the play area and marking the entrance to the park. The work doubles as playful seating, perches for the human visitors to the park. Like beads of morning dew, they glisten and invite closer inspection. This public art installation cost $40,000, kids like to play on them but some very nice amenities could have been substituted.